Having sports mad husband (now he’s given up football, he thrown himself full on into playing golf guys! ), the mention of Sports Direct usually brings me out in a cold sweat – usually at thought of spending a riculous amount of money on some item of golf paraphernalia . I – and I’m guessing I would be right in thinking most others probably associate Sports Direct with trainers and sporting equipment, but did you know they also have huge selection of other things, including gifts for £5 and under? £5 doesn’t really get you very far these days, and so I was intrigued to take the #sdfivechallenge, and see what presents I could pick up for £5. Christmas is always an expensive time of year, and more so in our household, as Ollie’s birthday falls 6 days before Christmas. He’s not at all demanding when it comes to wanting things (unlike his older sister), and so I always struggle with finding enough things that he wants, so that he gets as much as the other two do on their birthdays and at Christmas. With this in mind, I set out to find a couple of presents for under £5 which Ollie would love. Sports Direct stock a huge range of gifts, and most are a lot cheaper than you would find elsewhere. I actually think I could easily shop for most family and friends on their website – and definitely the kids. 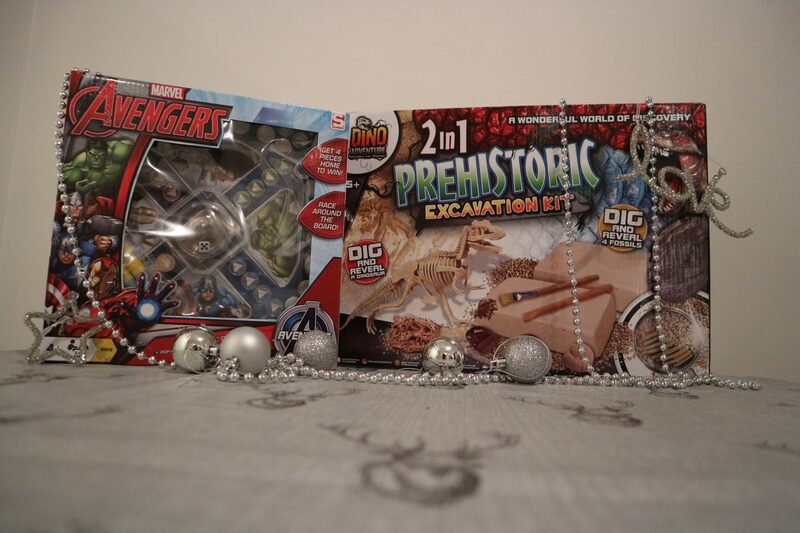 For Ollie, I picked two presents, an Avengers pop up board game, and a 2 in 1 excavation kit. I went for the pop up board game (now sold out online), because at nearly 5, Ollie is hitting the age where his sister will actually let him join in with board games. I thought it would be great for him to have one that was just his own, and as he is a huge Marvel fan, I thought this would be well recieved. 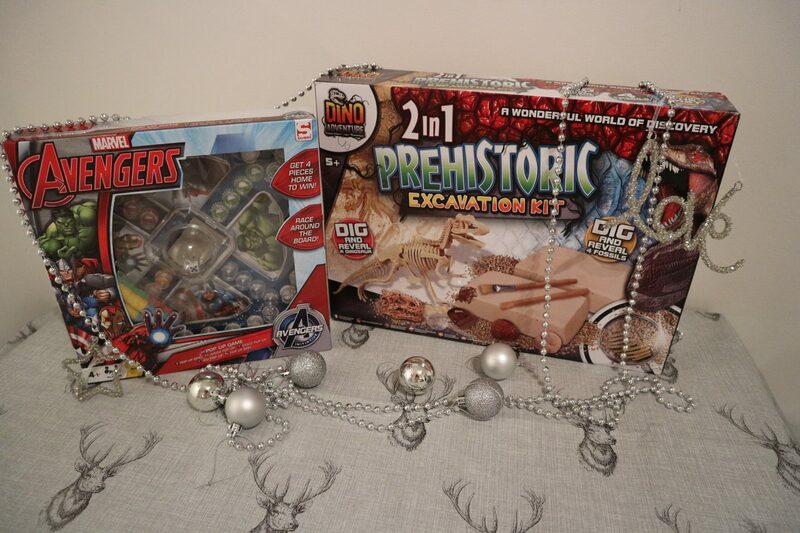 The second gift I chose was the 2 in 1 Excavation set. Izzie was given something similar to this a while a go, and she loved digging for treasure using the tools provided. 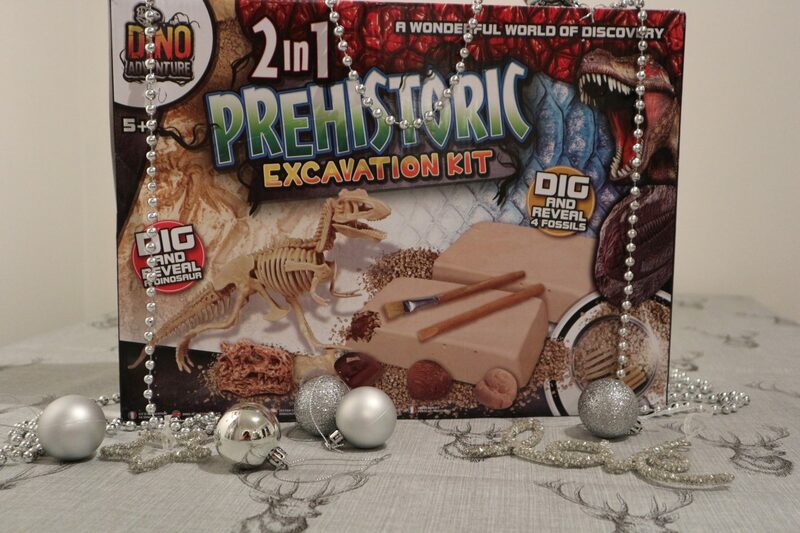 This set allows you to dig and find a dinosaur, and 4 fossils. 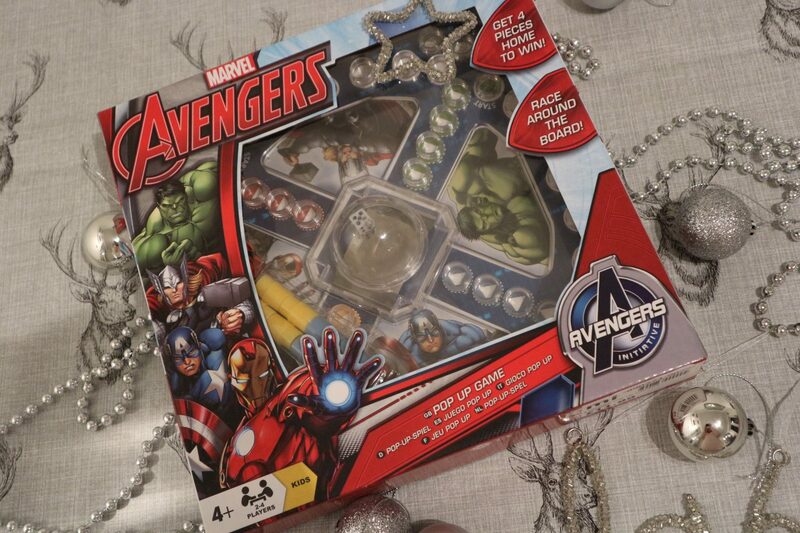 I thought Ollie would love this, and it would also keep him amused over the Christmas holidays. I was very impressed at the range of gifts on the site – in fact I’m going to place another order to stock up my ‘present box’ (a box full of presents I keep ready for kids parties). The service from Sports direct was swift, although you do need to factor in the £4.99 delivery charge. Saying that if you live near a Sports direct branch, you can pay £4.99 to have your order delivered into store, and they will give you a £5 voucher back to spend. I did have an issue with one of my items being out of stock, but the team at Sports direct were helpful and sorted the issue quickly. I would highly recommend checking out their website for lots of affordable gift ideas – I know Ollie is going to love his.